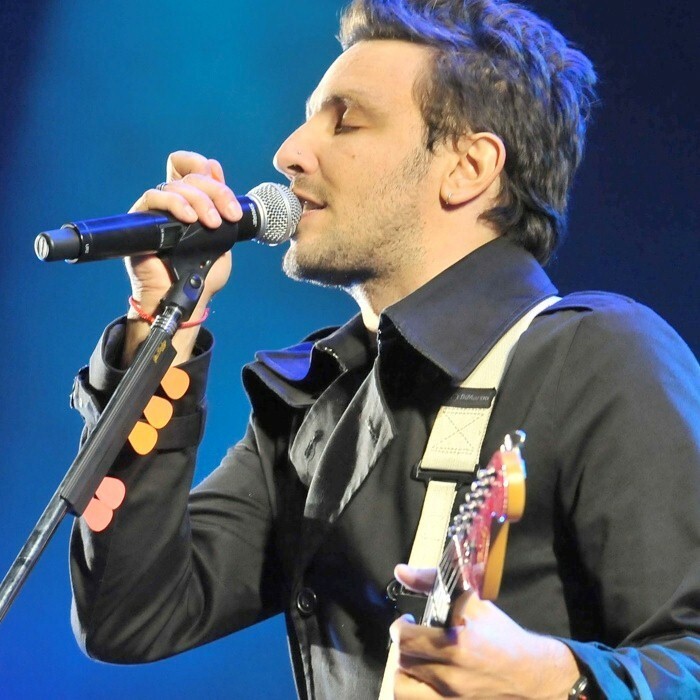 No Te Va Gustar, also known by its initials NTVG, is a rock band from Uruguay. The members are: Emiliano Brancciari (vocals and guitar), Guzmán Silveira (bass and backup vocals), Diego Bartaburu (drums), Gonzalo Castex (percussion), Martín Gíl (trumpet and backup vocals), Denis Ramos (trombone), Mauricio Ortiz (tenor saxophone), Marcel Curuchet (keyboards) and Pablo Coniberti (guitar). No Te Va Gustar was formed in 1994, when most of its members were around the age of 16. The band was originally a trio made up of Emiliano Brancciari (guitar), Mateo Moreno (bass) and Pablo Abdala (drums). In 1997 the band expanded and added new styles of music to its repertoire such as reggae, candombe, salsa, ska and murga. The band started to gain recognition in 1998 when they won the "Third Song Festival of Montevideo" and another competition organized by the Montevideo City Council Youth Commission. In 1999 the band toured various venues in Montevideo. In July 1999, No Te Va Gustar began recording its first album titled "Sólo de noche", which they finished editing (independently) in December. During the summer of 2000 the band toured east coast of Uruguay, playing in Punta del Diablo, Valizas, Cabo Polonio, La Pedrera, La Paloma, Atlántida, El Pinar, and Solymar. In April 2000 "Sólo de noche" was officially released. During 2002, the band recorded its second album titled "Éste fuerte viento que sopla" (This strong wind that blows) in Santiago, Chile. From that moment on No Te Va Gustar began solidifying its position as one of the defining groups of Uruguayan rock. Their second album went gold just six months after its release and they soon had a fully booked schedule. In 2004 the band toured the Atlantic coast, sharing the stage with other groups such as La Zurda and Bersuit Vergarabat, one of the most popular bands at that time. The band played more and more gigs in Argentina, attracting a bigger audience with every show in cities such as La Plata, Morón, Ramos Mejía, and Lomas de Zamora. No Te Va Gustar's third album titled "Aunque cueste ver el sol" (Even though it's hard to look at the sun) was released in 2005. The record release concert attracted an audience of 10,000 people, and the show was recorded for release on DVD later that year. In 2005 the band also did a European tour, playing dates in more than 40 cities including Munich, Hamburg, Bremen, Berlin, Vienna, Bern, and Madrid. The band recorded its fourth album "Todo es tan inflamable" (Everything is so flammable) in 2006, then promoted the album in various concerts in Uruguay and Argentina. Also in 2006, group members Mateo (bass) and Pablo (drums) left the group citing personal reasons.